Former NACA (National Association of Campus Activities) Nationals Club Showcase Artist, Carla Lynne Hall plays a lively mix of originals and cover tunes at college campuses around the US. 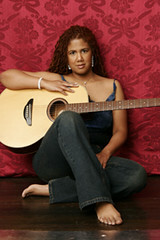 Carla has opened for blues legend Taj Mahal, and she is currently booking solo, duo, and band shows for Spring and Fall 2008. 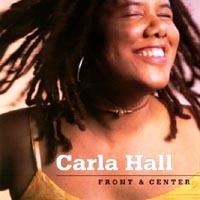 “The dark, smoky air is filled with small spheres of light emanating from candle flickers and dancing a methodical rhythm to the sultry-sweet sounds of singer-songwriter Carla Hall. Her voice pervades every corner fo the small room at CB’s Gallery where she stands and sways to the music that she sings. 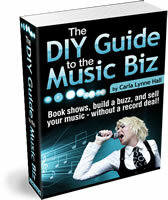 Unlike many performers who might have been daunted by the small crowd that showed up for her Septemeber 23 show, Hall turned this to her advantage by paying attention to the individuals in the crowd rather than treating the audience as a whole. Hall evoked a response from one man with a seductive point of her finger and received requests to come to Baltimore from another. Yet, at times her playfulness was sharply contrasted by complete solemnity. 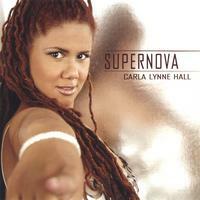 Sparks of soul and jazz that spice up the songs and help give Hall a very distinctive sound can be heard throught the rhythm and blues influence on her music. 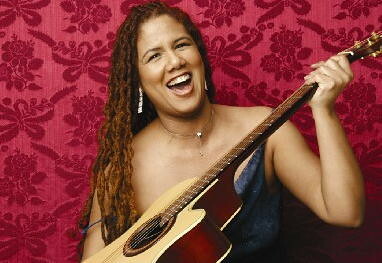 The subject matter of Hall’s songs range from her own tales of real-life struggles to the role she has played as “the other woman” to the music of Jimi Hendrix. Hall did not sing her songs; she became them. It seems that all singers try to become part of their music, but there are few that actually achieve that goal; Hall is one of them. Emotion played across her face with a fierce intensity that denied misinterpretation, and her body swayed with each swell in melody. The mellowness and sincerity she infused into each song enraptured the audience into a trance until the spell was broken by their ovation. Hall has all she needs save a following, which hopefully she will find here in New York. She plays at Sin-e Monday, September 30th at 10pm. After that, no one knows where she will go.